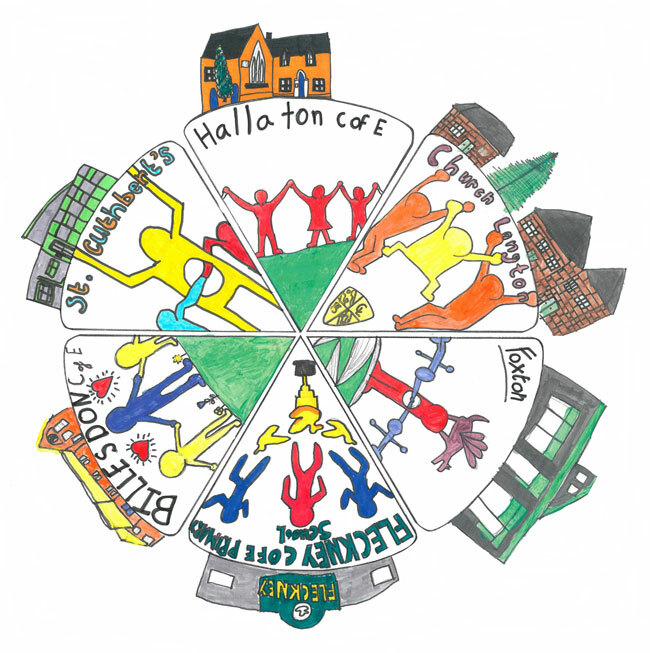 The SLCP is made up of 6 local primary schools working closely together. The schools are Fleckney C of E Primary School, Billesdon C of E Primary School, Church Langton C of E Primary School, Foxton Primary School, Hallaton C of E Primary School and St Cuthberts C of E Primary School. The children of each school benefit enormously from a range of activities, events and competitions that take place across the year. These include: a range of sporting competitions and experiences, ‘More Able Writers’ days, language and cultural days, a Spelling Bee competition, a Maths quiz, RE days and music festivals to name just a few. The teachers from each school meet regularly to discuss their subjects and to share good practice. They are heavily involved in joint moderation of assessment judgements of children’s work across school boundaries. The Heads of each school meet regularly to coordinate the collaboration between the schools. They also meet to share their own data and plan strategically together to plan future collaborative provision for the pupils of the partnership. The Heads produce a Self Evaluation Plan to analyse the effectiveness of the partnership and the impact of the group’s work on the children’s learning. The Chairs of each governing body also meet termly to review the success of the partnership. They work closely with the Heads and are kept abreast of the wide range of activities that are taking place at a pupil, teacher and head teacher level.